So, Mars is the fighter planet. His job in the horoscope is to go out into the world and get you what you want. We all need a Mars. I mean imagine what life would be like if we didn’t have one. Nobody would win, nobody would have desire, and most importantly, you couldn’t make your life what you want. Thankfully, Mars gives us the need to win, have desires, and gives us the ability to make of our lives what we want. 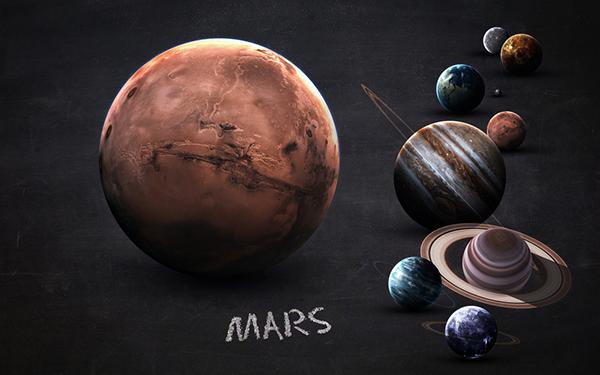 Mars is the planet that represents the human fighting spirit. After all, the world can be a hostile place and we need to defend ourselves in pretty much every area of life. Mars defends our right to be separate individuals with our own individual essence, and this is necessary for us to feel whole. Perhaps the biggest expression of Mars is our ability to say ‘no’, and to have the strength to set boundaries that protect our individual rights and values. And, although this can lead to initial conflict (it is Mars, and other people have wants and desires as well), over time it leads to inner harmony and peace because we have defended our space. On October 22, Mars will move out of Virgo and into Libra where he will remain until December 9th. Now, the reason I described Mars so thoroughly is that Mars is in detriment in Libra. This means that the natural energy associated with Libra – harmony, balance, and cooperation – are not aligned naturally with Mars. So, Mars is a bit insecure in Libra. Mars in Libra is extremely refined. He is not the hairy, sweaty, and bloodthirsty God from the Iliad. He is gracious, considerate, and is more like a social worker or a life coach than a football player. While Mars is in the sign of the scales, it’s more beneficial for us to pursue goals that put other people in mind, but keeps our values and individual expression intact. Mars in Libra is not about giving up your personal power; it’s about allowing others to express theirs as well. However, you will notice if you are giving your power away when you become frustrated, depressed, or angry, which is easily resolved by negotiating the areas of your life where you feel defeated because regardless of the sign Mars is in, he still needs to win on some level. In Libra, Mars is also inspired by the approval and feedback of others. Libra is a sign about relationships so having others that will fight by our side spawns just as much initiation as doing things on our own. With Libra, everyone wins – at least a little. November 19 – Mars square Pluto – With Mars being in Libra, the square to Pluto may signify a period where you are more sensitive to giving up your personal power to others. This could be with another individual or a group. You may need to stand your ground and maintain your boundaries even if it is uncomfortable. Now is also the time to avoid trying to override someone else’s boundaries. Treat them with the same respect that you would like to be treated yourself. December 1 – Mars oppose Uranus – If there are areas of your life where you are having difficulties saying no or difficulties putting boundaries in place, Mars opposed Uranus will bring them to the surface. An opposition implies conflict innately, and this aspect usually brings forth battles with people that you feel are holding you back. There may be a need for you to liberate yourself from people that are oppressing yo but do so with proactive rather than reactive means. Avoid acting impulsively now because you will regret any future backlash. December 12 – Mars sextile Mercury and Saturn – Mars will form harmonious aspects to Mercury and Saturn. This is great energy to get things done and negotiate deals. Further, with Mercury being retrograde in Sagittarius (he goes retrograde on December 3rd) it’s an excellent time to renegotiate circumstances that are not working for you. This entry was posted in astrology, Your Daily Dose and tagged astrology, horoscopes, Mars, Mars in Libra, Storm Cestavani, Zodiac on October 18, 2017 by Storm Cestavani.